On this day workshop you will learn how to use the tools, materials and techniques to get you started in bookbinding. You’ll make 3 different small books from scratch to take away with you and you’ll be taught each stage of the process on how to use both glued and sewn methods of binding. After this course, you will understand that you don’t have to invest in specialist equipment in order to produce your very own beautiful handmade books. 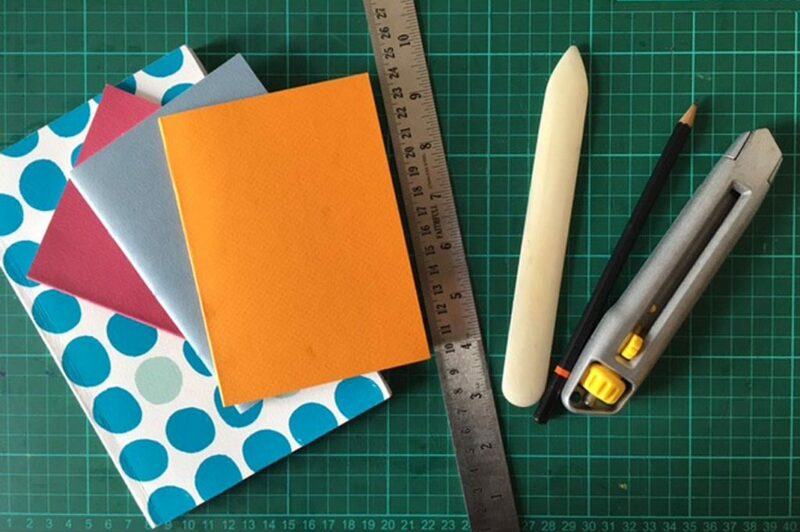 This course is for absolute beginners or ideal for someone looking to brush-up on their existing bookbinding skills. All tools and materials are provided, along with a set of technical notes. Refreshments will be provided but you may wish to bring some lunch along with you.